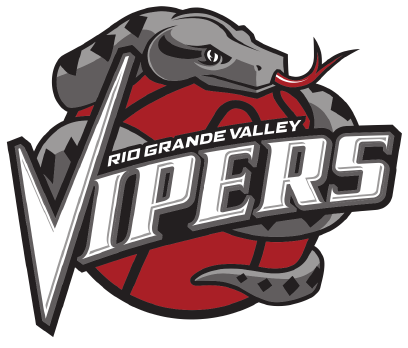 The Rio Grande Valley Vipers will open their first season at Edinburg’s Bert Ogden Arena with a home matchup against the Memphis Hustle on Nov. 3. The 2018-19 season will be the 12th in the G League for the Vipers, who are scheduled to play 24 home contests as part of a 50-game schedule. The Vipers’ annual kids day game will take place at 11 a.m. on Dec. 13. The team also announced that it will host the ninth annual All-Valley Showcase on March 23. The Valley’s top high school boys and girls will compete in east versus west all-star games prior to the Vipers’ regular season home finale later that night against the Sioux Falls SkyForce. Bert Ogden Arena will have an 8,000-seat capacity for Vipers home games, according to the team’s release. The arena features a 40- by 20-foot scoreboard and digital ribbon board throughout the arena, with 87 points of sale for concessions, six full bars and three restaurants: Taco Palenque, Il Forno Pizzeria and Kumori Sushi. Season tickets for the Vipers’ 2018-19 season are on sale now at (956) 972-1144 or the RGV Vipers official website. Nov. 3 vs. Memphis 7 p.m.
Nov. 9 at Memphis 7 p.m.
Nov. 11 at Capital City 7 p.m.
Nov. 13 at Austin 11 a.m.
Nov. 15 vs. Austin 7 p.m.
Nov. 17 vs. Stockton 7 p.m.
Nov. 20 at Texas 7 p.m.
Nov. 21 vs. Maine 7 p.m.
Nov. 24 vs. Iowa 7 p.m.
Nov. 29 vs. Oklahoma City 7 p.m.
Nov. 30 vs. Salt Lake City 7 p.m.
Dec. 3 at Salt Lake City 7 p.m.
Dec. 5 at Agua Caliente 7 p.m.
Dec. 8 at Santa Cruz 7 p.m.
Dec. 13 vs. Delaware 11 a.m.
Dec. 15 at Lakeland 7 p.m.
Dec. 17 at Fort Wayne 7 p.m.
Dec. 27 vs. Texas 7 p.m.
Dec. 29 at Texas 7:30 p.m.
Jan. 3 vs. Santa Cruz 7 p.m.
Jan. 7 vs. South Bay 7 p.m.
Jan. 11 vs. Westchester 7 p.m.
Jan. 12 vs. Santa Cruz 7 p.m.
Jan. 15 at Oklahoma City 7 p.m.
Jan. 18 vs. Memphis 7 p.m.
Jan. 20 at South Bay 5 p.m.
Jan. 22 at Stockton 7 p.m.
Jan. 25 vs. Austin 7 p.m.
Jan. 26 vs. Texas 7 p.m.
Jan. 28 at Sioux Falls 6:30 p.m.
Jan. 30 at Erie 7 p.m.
Feb. 2 vs. Agua Caliente 7 p.m.
Feb. 5 vs. Northern Arizona 7 p.m.
Feb. 7 at Salt Lake City 7 p.m.
Feb. 8 at South Bay 7 p.m.
Feb. 10 at Agua Caliente 7 p.m.
Feb. 12 at Northern Arizona 6:30 p.m.
Feb. 20 at Oklahoma City 7 p.m.
Feb. 22 vs. Iowa 7 p.m.
Feb. 26 at Memphis 7 p.m.
Feb. 28 at Austin 7:30 p.m.
March 3 at Iowa 4 p.m.
March 6 vs. Raptors 7 p.m.
March 8 vs. Stockton 7 p.m.
March 9 vs. Sioux Falls 7 p.m.
March 12 vs. Salt Lake City 7 p.m.
March 16 at Northern Arizona 7 p.m.
March 23 vs. Sioux Falls 7 p.m.